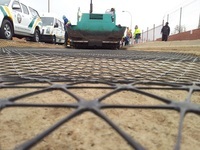 Erosion control on the banks of lakes and reservoirs is acheived with Tensar Mats. Cost-effective systems for bridge abutments have been created from a combination of our construction experience. Tensar International have a range of solutions for both Inland and Coastal flood defence projects.